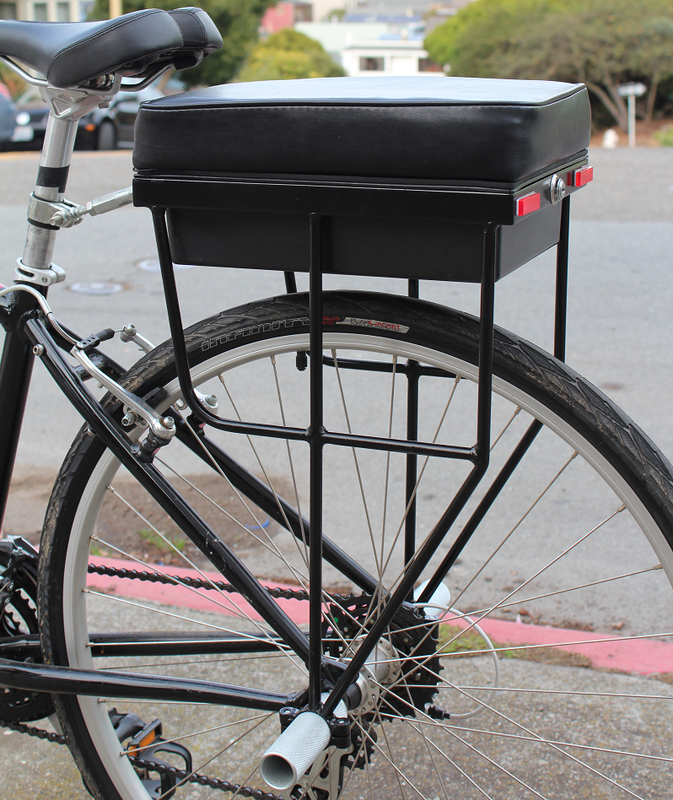 Companion Bike Seats are designed to fit both geared hubs and single-speed bikes. They're compatible with most mountain bikes, cruisers, path-and-pavement bikes, and many ebikes too. And they've got a locking, waterproof storage compartment beneath the seat. Purchase your bike seat and backrest together and save $25! Buy your Companion Bike Seat today! Our online store has recently moved. Please click here to visit our updated store. Orders typically received within 5 - 7 business days. Additional shipping fees will apply for International orders (outside the US). * Companion Bike Seats require the ability to install bike pegs onto the rear hub of the bike for proper installation. For more information, visit our Installation and FAQ page. Own or operate a bike shop? Contact us for more information about reseller pricing and discounts.